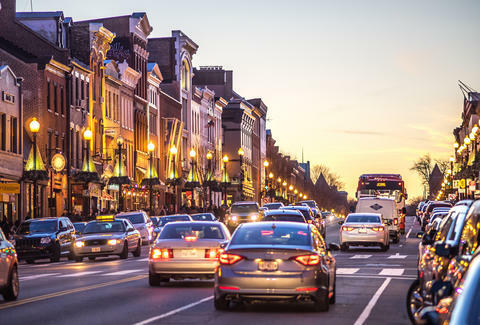 While we usually get around DC by walking, taking the bus, or hopping on the Metro, sometimes it's hot, rainy, or you have family visiting, and you'd rather take in the sights by driving around than pay for some godawful tour. However, it's not exactly that easy. We won two extremely unfortunate titles in 2015, after all -- both "worst traffic congestion" and "worst roads." So if you hit the streets of our nation's capital, just accept the fact that you are definitely going to experience at least one of the following issues. Get five and it's a bingo? Yeah, the prize is… nothing but road rage. 1. You try to read all of the signs while sitting at the traffic light, and still manage to turn into oncoming traffic on a one-way street. 2. Smile, you're on camera. 3. You near Embassy Row, see an influx of red, white, and blue diplomat plates around you, and pray you don't get into an accident that will undoubtedly be deemed "your fault." Diplomatic immunity sure must be nice. 4. You take a picture of the signs around your parking spot to prove you were OK to park there. 5. You miss a street-cleaning sign down the block and notice your car is gone. A frantic phone call later reveals it's been "courtesy towed" around the corner. 6. 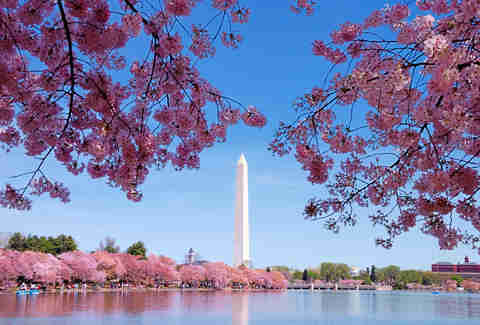 We’ll drive by the cherry blossoms in full bloom, they said. It'll be beautiful, they said. 7. You promise yourself that today you will not honk while driving… and fail within the first 10 minutes. 8. You desperately have to pee and there's nowhere to pull over. Or park. 9. You forget the [insert any charity name here] 5K/10K/marathon is today, so all the roads and bridges are closed. 10. It's January 20th. You've been living under a rock, and forget it's Inauguration day. 11. Dammit, another red light camera. 12. You embrace Waze as your co-pilot and friend. Seriously, learn a new route. 13. You get in the wrong lane entering Dupont Circle and are still there circling, feeling more idiotic than Chevy Chase himself. 14. You consider buying a Humvee to navigate all the potholes. Pothole Palooza doesn't seem to be working. 15. 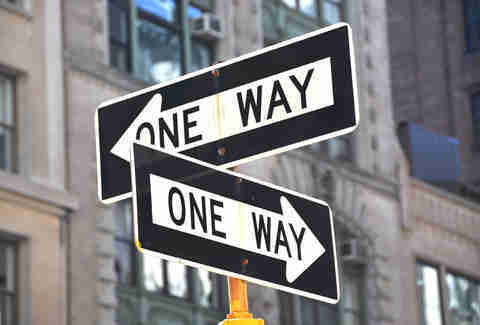 You have an epiphany when you realize I St is the same thing as Eye St (and that there's no J St!). 16. You confuse one traffic circle with a statue of a dude on a horse for another. 17. You think you can park in Georgetown. 18. 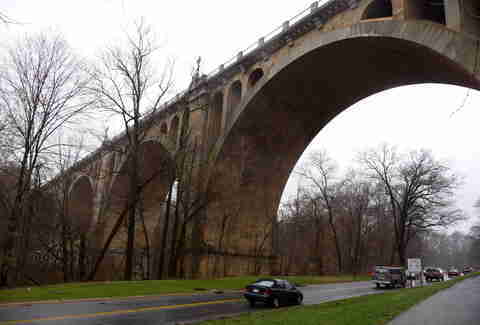 You take the Rock Creek Parkway on a nice day and watch the speed-walkers race by. 19. Your lane becomes a bus-only lane. 20. You almost get hit by a bike. 21. You almost door a biker. 22. You praise the housing gods when you find a place that comes with parking. 23. You consider selling your car and renting out your parking spot on a monthly basis. 24. You try to be patient with the lost tourist driver in front of you before pulling a DC U-turn to get the hell out of there. 25. 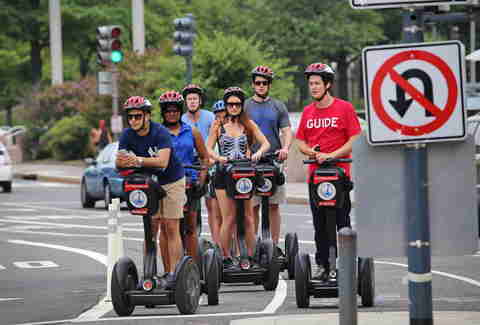 You curse the creator of the Segway tour and Capital Bikeshare that added a new sight to the city -- tourists on wheels. 26. Thanks, L'enfant. Great street design. 27. Great. 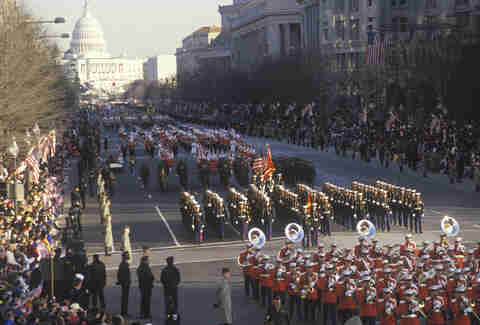 The motorcade. I will totally be on time now. 28. Seriously, more black SUVs? 29. Oh, the address was for NE, not NW. Fantastic. 30. You still feel uneasy driving on the wrong side of the Rock Creek during rush hour #reversedroad. 31. You forgot which part of the Rock Creek is under construction and are detoured to Woodley Park. 32. You remember that yes, there's an app for that, abandon your search for quarters, and praise the inventors of the Parkmobile app. 33. You nail parallel parking in front of your friend's house... only to realize you've parked out of zone. 34. You plead with a tow-truck driver not to take your car. And definitely not to take your car there. 35. 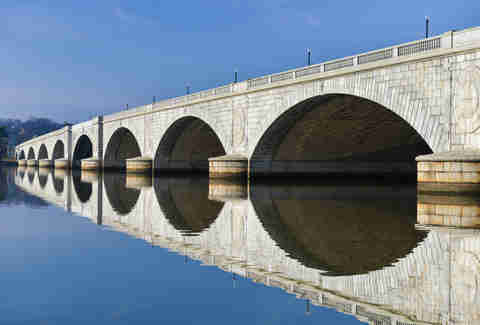 You've got this; you traverse Humpback Bridge with plans to take Memorial Bridge into the city. How hard can this be? No, nope, not that left lane. Hello, Virginia, my old friend… we meet again. How does this keep happening?! 36. 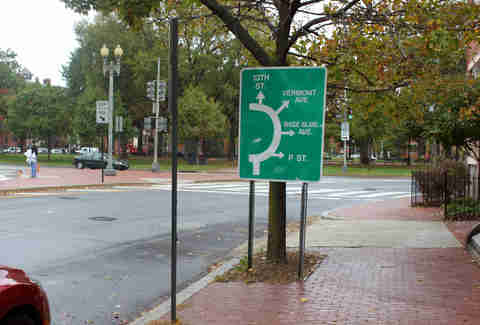 You see a detour sign as you cross into DC on 395... and realize you can't turn around, get over, or get off. 37. You lose GPS signal in the 3rd Street Tunnel and miss your exit. 38. A light sprinkling of snow starts, and everyone's response is to completely freak out -- yes, there are flurries that aren't even sticking, let's shut down the city. 39. You think about taking Metro, check to see if it’s on fire, and summon an Uber to deal with this hellscape instead. 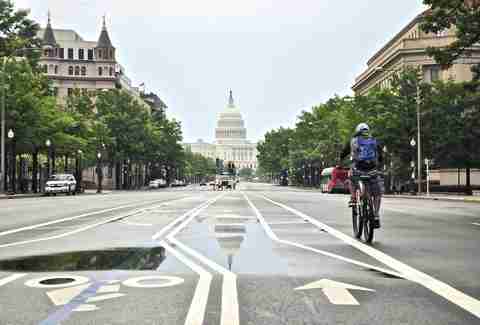 Layla Bonnot avoids DC driving as much as humanly possible. Follow her adventures on Instagram @Layla.Bonnot.